The odds are stacked against bicyclists in a wreck with automobiles. Injuries often result, and victims may need a good attorney to file a bicycle accident lawsuit. Bikers know bicycling is dangerous on California’s busy roads, but the attraction to the sport or convenience in commuting are so great cyclists are willing to take some risks. 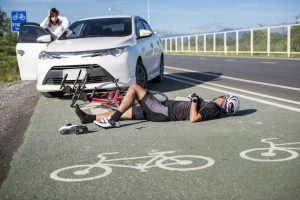 California has laws to protect bicyclists, but if misfortune strikes and a person is injured, a bicycle accident lawsuit can help a victim afford necessary medical treatments and recover wages and damages. If a driver causes your bicycle accident, be aware that you may sue for damages to recover medical expenses, lost wages and compensation for pain and suffering. Also, many bicyclists invest a lot of money in their bikes, and they can be compensated for a damaged or destroyed bicycle. You may also pursue a bicycle accident lawsuit if, for example, a municipality allowed unsafe road conditions such as potholes or hazards because of construction, if your equipment was faulty or unsafe, or if farm animals or an unleashed dog caused an accident. Speak to an attorney experienced in bicycle accident lawsuits about all of the circumstances that caused your accident to see if you have a valid claim. 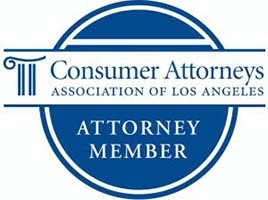 A good attorney can help you get as much money as you need to recover. 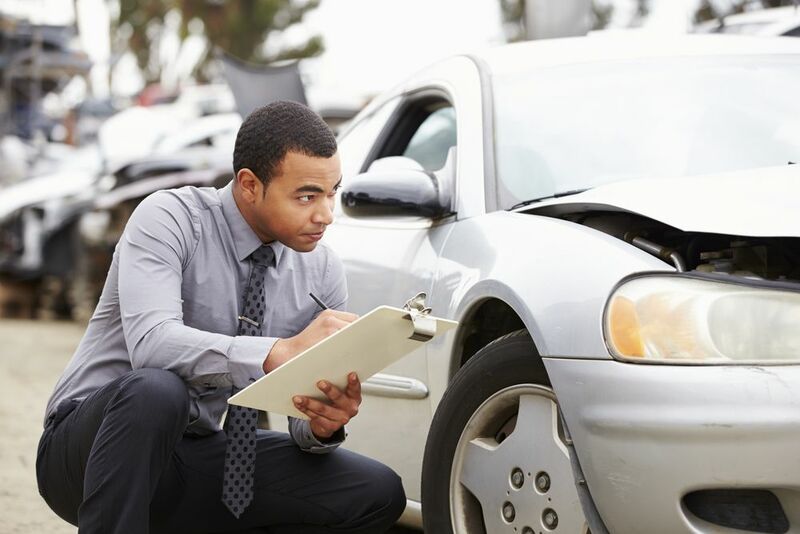 Always speak to a lawyer before you speak to an adjuster with the at-fault party’s insurance company. Adjusters may seem friendly and may seem like they want to help you, but it is often an act to make you feel comfortable and say something that could hurt your case. Insurance companies train adjusters in programs created by attorneys to get injured people to accept the least amount of money. If you are dealing with an attorney-trained adjuster, you probably should have an attorney represent you to get you the fair compensation that you deserve. Insurance companies try to pay as little as they can on any claim. Conversely, good attorneys get you as much as you need to fully recover medically, financially and emotionally after you are in bicycle accident that injures you. The U.S. Centers for Disease Control says there were about 1,000 bicycle accident fatalities in 2015 and about 467,000 injuries. California has the most alarming statistics of any U.S. state. In 2010, 2011 and 2012 motor vehicle accidents killed 338 bicyclists. In just one year, 2010, the CDC estimates medical expenses and lost productivity from bicycle accidents cost the U.S. economy $10 billion. California is the most populous state, and bicycling is a very popular sport and pastime here. Also, because much of the state has temperate weather all year, Californians ride bicycles for commuting, racing and recreation more than in wintry areas. In 2011, about 70 percent of bicycle accidents occurred in urban areas. Adults ages 50 to 59 are at the highest risk for bicycle fatalities. Also, males are at much greater risk for injury or death than females. Children ages 5 to 19 are at the greatest risk for injuries while cycling. Sadly, alcohol consumption by the bicyclist or an at-fault driver is a factor in about one-third of bicycle accidents. The most dangerous time to ride bicycles is between 4 p.m. and 8 p.m. That is when the majority of bicycle fatalities happen. Stay off busy roads and avoid riding during peak traffic hours. Always wear protective and reflective clothing, use good bicycle lights, both front and rear. 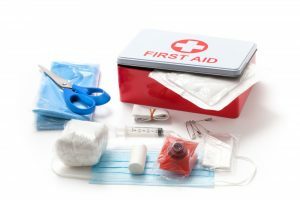 Your first concern if you are injured is to get medical help. Call for an ambulance by dialing 9-1-1, or if you can’t call ask someone at the scene to do so. If you think your head, neck or back injuries are insignificant, see a doctor anyway. You may experience pain the next day or even a long time later, and it is important to be checked by a doctor. If possible, get the driver’s license plate number, name, and information where he can be contacted. Also, ask for the driver’s insurance information. Make a note of the make, model, year and color of the vehicle that hit you or caused the accident. Also, get the vehicle identification number on the left side of the dashboard under the windshield. If there are witnesses, ask for their contact information too. If the driver is impaired, leaving the scene or being uncooperative, just call the police and let the officer handle it. Make safety your first concern. Many people have smart phones capable of taking photos or video. Photograph or video the accident scene and use your photo to get the vehicle information. Photograph your bicycle and if possible, any injuries you may have sustained. Some people feel compelled to apologize for an accident even when they were not at fault. Do not apologize under any circumstances. Do not discuss the circumstances of the accident with anyone except the police or your attorney. Some drivers may be aggressive in trying to get a bicyclist to admit fault. Resist this and tell them to contact your attorney. You do not have to talk to anyone about the accident except your lawyer or the authorities. Determining fault is a matter for a jury to decide. Drinking or using drugs, speeding and texting may be factors in determining who caused the accident. Let your lawyer and the jury or insurance companies work out who was at fault to get you damages. Sometimes, the state, city, county or private property owners may be deemed at fault if there are potholes, cracks, construction or other unsafe road conditions. If there is a part of town where there were bicycle accidents previously, that may open an avenue of liability for the government or person that controls the area. In other words, a prior accident or complaints from the public showed there may be a problem there—a problem that was not fixed and that contributed to causing your accident. Some pedestrians have also been deemed at fault in bicycle accident if they don’t control their dog, if they walk while texting, walk into the path of a bicyclist, step without warning into a bike lane, or knock a bicyclist off his bike. The defendant owed the bicyclist a duty of care. The defendant breached the duty of care through negligence. The defendant’s negligence was a substantial factor in causing the bicyclist’s injuries. Some of the most common bicycle accident injuries include broken bones, abrasions or road rash, head and neck injuries, fractured hands and dental fractures. Others include eye injuries, strains or dislocated joints, concussions and internal bleeding. In severe cases, the victim may need medical care for the rest of his life. Loss of consortium may mean a decrease in companionship, support or intimacy. If the person who caused the accident exhibited extreme or outrageous conduct, the person suing may be allowed to collect punitive damages. These cases are relatively rare and often involve a defendant who, for example, deliberately hits a bicyclist with his car. If a family member bicycling was killed because of another person’s negligence, you may consider bringing a wrongful death lawsuit to help you recover lost earnings and to compensate you for the pain of losing your spouse, child or parent. The California Code allows people to sue in cases of wrongful death when the deceased is a spouse, domestic partner or parent. In addition, if the spouse or children aren’t surviving, a wrongful death suit could be pursued by others who would be eligible to inherit the property or money of the deceased, including siblings or a “putative spouse.” “‘Putative spouse’ means the surviving spouse of a void or voidable marriage who is found by the court to have believed in good faith that the marriage to the decedent was valid,” says the California Code. The Code also allows minors to bring wrongful death lawsuits if they lived with the deceased for at least 180 days and had at least 50 percent of their support from him. 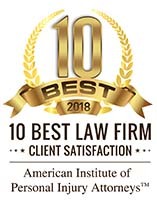 The attorneys at Krasney Law operate out of San Bernardino, but we work in courts all over California, including San Francisco, Los Angeles and San Diego. We can help you determine if you would be eligible for seeking compensation via a lawsuit if someone caused your injuries or wrongful death of a loved one. We will charge you nothing for an initial consultation, and we may arrange payment on a contingency basis. That is, we don’t get paid unless you accept a settlement, or we go to trial. For a complimentary consultation about your bicycle accident, contact us today! Next Post: What Is the Number One Killer of Teenagers?